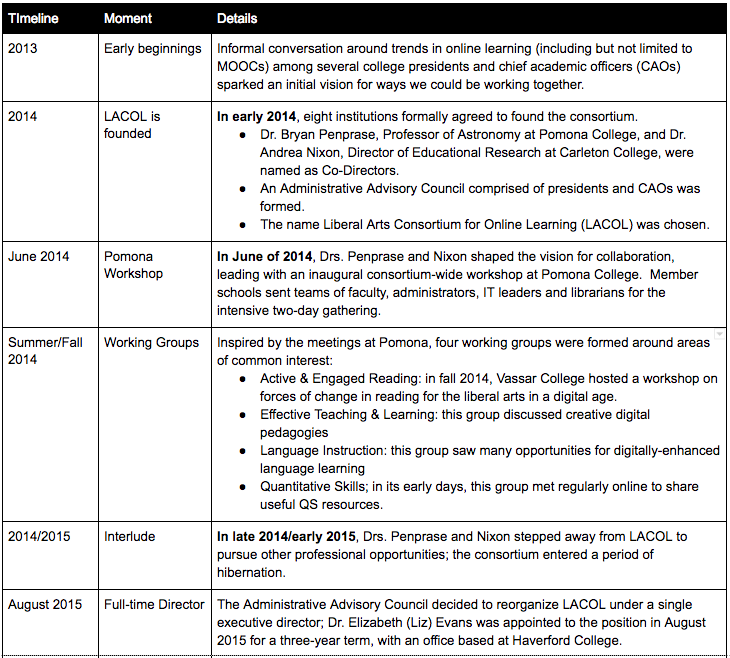 The Liberal Arts Collaborative for Digital Innovation (formerly the Liberal Arts Consortium for Online Learning), also known as LACOL, was founded in 2014 as a partnership of eight (now ten) leading liberal arts colleges. 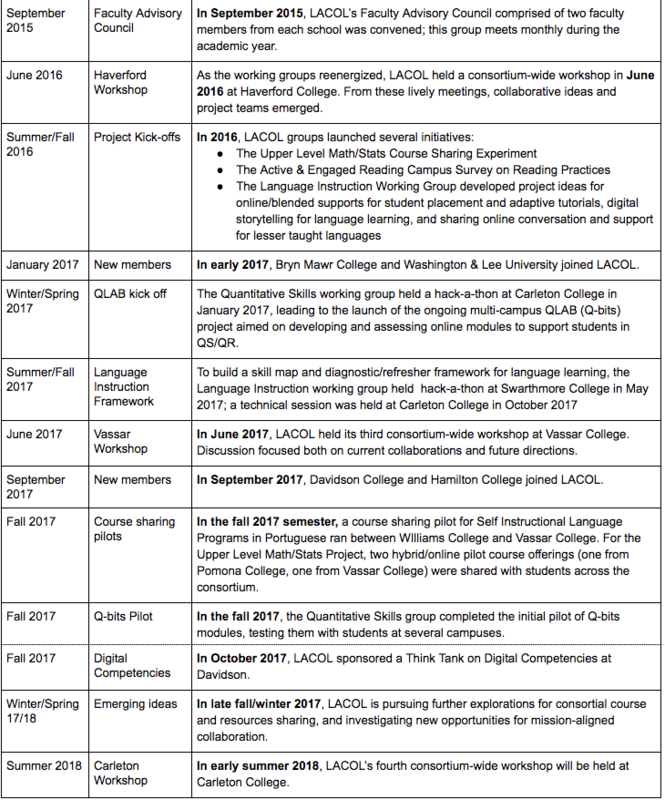 To help our faculty and students thrive in a rapidly changing digital landscape, LACOL’s founders envisioned an alliance for joint experimentation and research into the blended future of teaching and learning, fueled by our shared experience and values as small, residential liberal arts institutions. This history highlights key stages in the founding and evolution of the consortium.